All Signs (King’s Lynn) Ltd are an independent Signage and Vehicle Graphics company. We pride ourselves on high quality, excellent value and efficient service in the design and print of internal and external signage, vehicle signs and graphics, pop-up banners and exhibitions displays. All our vehicle graphics are designed, printed and installed in-house by our team of designers and sign makers. We provide everything from partial or complete vehicle wraps to simple vinyl livery, reflective and patterned vinyl. Vehicle signs are a very cost effective way to advertise your business. 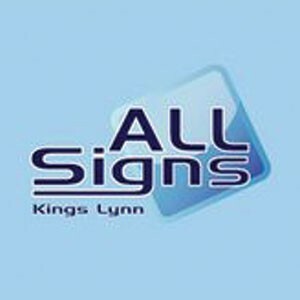 At All Signs King’s Lynn, we can help you design an eye catching design and can recommend the best solution tailored to your budget. Edit All Signs (Kings Lynn) Ltd.